SAQA ExhibitionsAs part of our mission to promote the art quilt, SAQA travels museum-quality exhibitions to venues around the globe. Artwork by our members has been enjoyed by millions of people at over 200 venues on 6 continents. Online GalleriesDiscover more beautiful and unique artwork from our members who continue to challenge the boundaries of art and change perceptions about contemporary fiber art. Join SAQASAQA offers a wide range of exclusive resources and professional opportunities to help members navigate the next steps for their artwork and career. Membership ResourcesAlready a SAQA member? 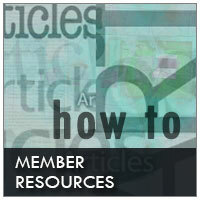 Find out how to maximize your membership and take advantage of the resources available to you. Congratulations to the 42 artists selected by juror Bruce Hoffman for the SAQA Global Exhibition 3D Expression. This exhibition will open at the Gerald R. Ford Presidential Museum in September 2019. New SAQA book: Art Quilts Unfolding - now in stock! Art Quilts Unfolding: 50 years of Innovation is available in the SAQA Store. This SAQA publication offers full-color images of 400 masterpieces along with engaging interviews and profiles of 58 influential artists, key leaders, important events, and significant collections. SAQA mentorship offers a goal or project-based program of peer mentoring, open to all SAQA members seeking one-on-one mentorship for a period lasting up to twelve months. The primary Mentorship Program is for artists beginning an art practice and also for experienced artists that want to explore growth opportunities with another experienced artist. Mentors can provide a wide array of options to consider and offer constructive critique. Find out more! Created and Hosted by GloDerWorks.